Question: I challenged an item on my credit report with Experian and received notice that it was deleted. The company I am trying to get a mortgage with will not go forward without a letter from the collection agency noting the account was settled. How would I go about getting a letter from the predatory collection agency? If I contact them by letter, don’t I risk the deleted account being re-brought? Answer: Successfully getting a collection account deleted through the dispute process does not mean it goes away. Unpaid collection accounts may never go away even though they can only be reported by the credit bureaus for 7 years. A collection agency can re-sell a debt to a collection agency and that practice can occur repeatedly until the debt is paid. Just because it was deleted, unless it was paid or settled, it continues to have the potential of reappearing. The mortgage lender wants to ensure the debt is not going to show up as a lien on the property. The only way I know of getting around an unpaid collection is that the mortgage loan is FHA-insured; and that’s only if the amount is $1000 or less. In 2012, FHA changed it’s long standing policy on collection accounts. FHA requires collection accounts $1000 or more (accumulative, not individual) to be resolved. Either the collection account must be paid in full or payment arrangements with at least 3 months of on-time payments must be shown. However, the lenders underwriting the loans may have their own standards requiring you to pay any amount collection accounts as a condition for loan approval or before loan closing. FHA continues to require judgments be paid before the mortgage loan is eligible for FHA insurance. Prior to 2012, FHA did not require collection accounts be paid off as a condition of mortgage approval. I really have no suggestions, other than to comply with the mortgage lender’s request to resolve this matter. I can offer some advice on how to pay the collection agency. Since paying the collection account will more than likely be a condition for getting the mortgage loan, your concern should be the timing of payment. I would arrange to pay the collection account at the closing of the home purchase. 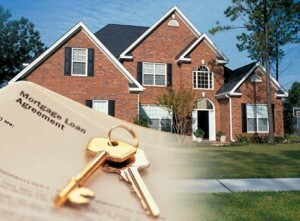 Have the mortgage lender include payment in the closing costs if possible. Including the payment in closing costs will minimize the chances of your credit score being lowered because the date of last activity is updated. Even though the account balance would be $0 once the payment is made, your credit reports would look as though you have a RECENT active collection account which is a lot more derogatory than an older collection account with an unpaid balance. The only circumstance I would advise paying the collection agency prior to getting a mortgage loan is if the collection agency agreed in writing to delete the account from your credit reports. The only issue with a pay for deletion is that some collection agencies will not negotiate a lower settlement amount if they agree to the pay for deletion. If you cannot get a pay for deletion, try to negotiate a settlement for less than the amount they are requesting. Collection agencies typically pay pennies on the dollar for debt and perhaps you can benefit by settling for less. Get any agreement in writing before payment is made. The bottom line is you are doing something that is rare in the wake of the economic downturn, and that is being approved to purchase property. I wouldn’t let a collection agency stand in the way of buying property and building wealth. Good luck to you.